I baked this cake some time in January 2016 (LOL). Then I posted it on my dashboard and simply forgot it. I have been going through my draft posts and here it is. 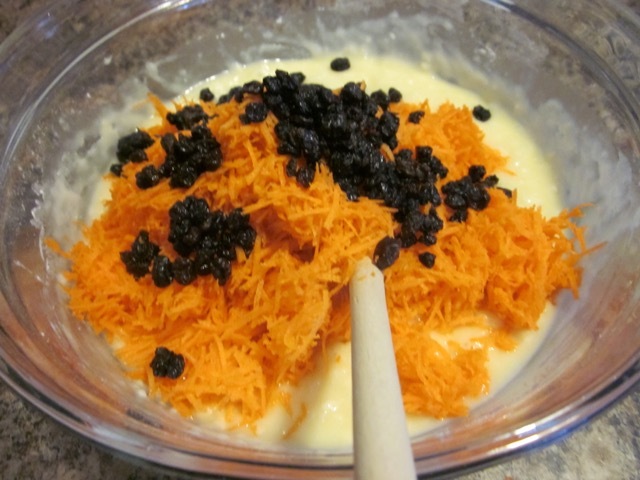 Carrot and coconut are a great combination, and the addition dried currants, rounds it all up. I hope you are having a great week. I am enjoying the fall colours but not looking forward to raking and collecting leaves. What would life be if we had nothing to do all day long? I think I should take it back and say “I look forward to raking leaves”. Be blessed! 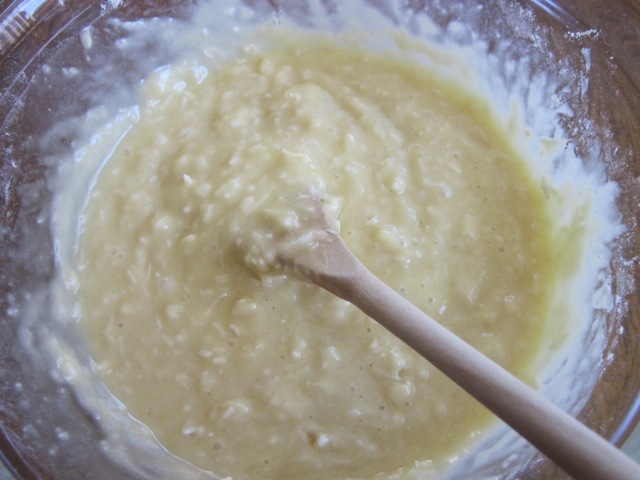 Preheat the oven to 350 degrees and grease an 8½” x 4½” loaf pan with oil or nonstick cooking spray. 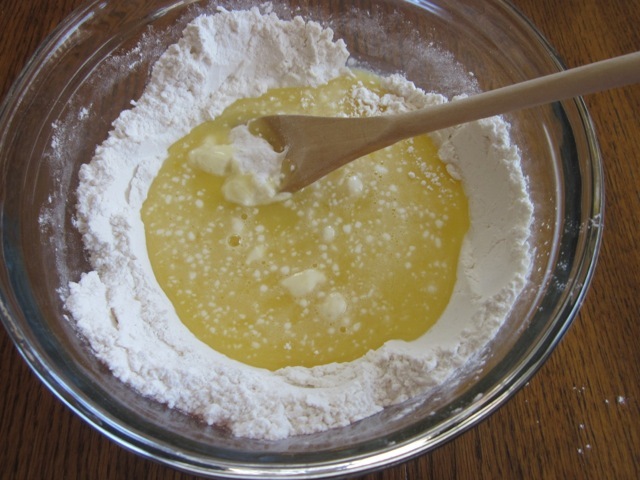 Sift the flour, baking powder, baking soda, and salt into a medium bowl. Add the shredded coconut and stir until combined, then make a well in the centre. 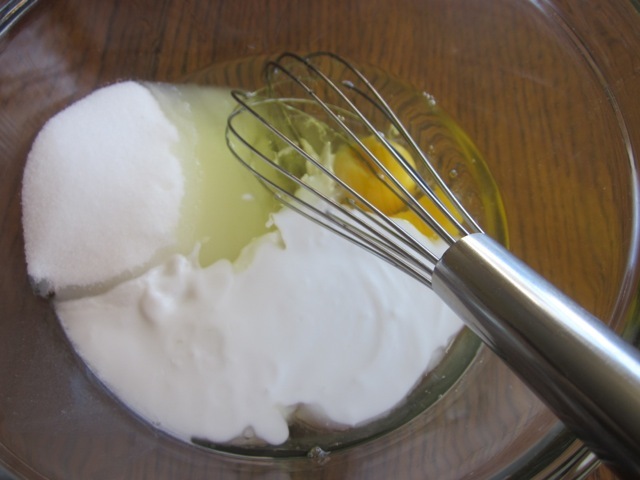 In a separate bowl, whisk together sugar, egg, vegetable oil and coconut milk. 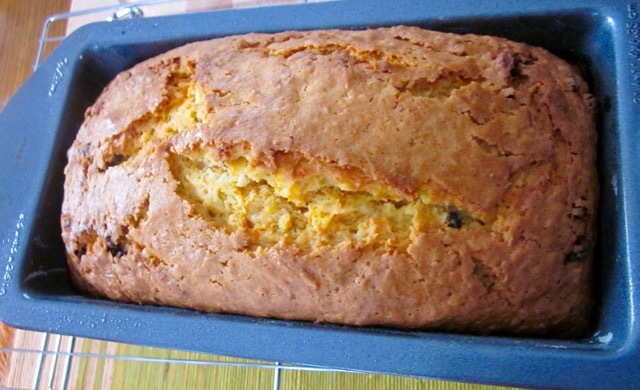 Pour the batter into the prepared loaf pan and spread evenly. Bake for 60-75 minutes, or until a skewer inserted into the centre comes out clean.Let the loaf cool in the pan for about 10 minutes before turning out onto a rack to cool completely. Preheat the oven to 350°F (180°C) and grease an 8½” x 4½” loaf pan with oil or nonstick cooking spray. Sift the flour, baking powder, baking soda, and salt into a medium bowl. 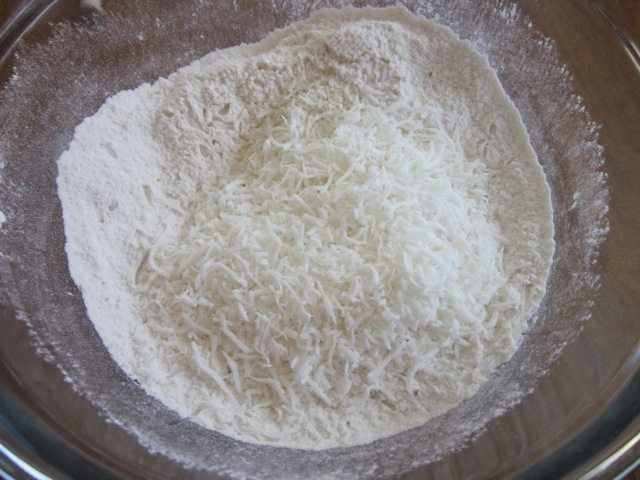 Add the shredded coconut and stir until combined, then make a well in the centre. Add the egg-coconut milk mixture into the well and stir until combined. 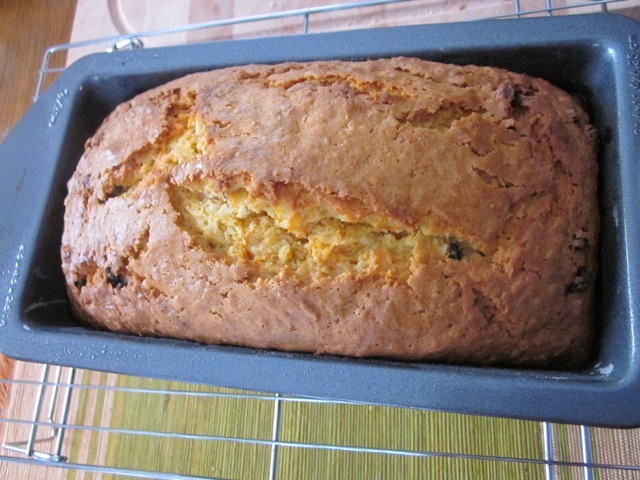 Fold in the grated carrot and currants..
Pour the batter into the prepared loaf pan and spread evenly. Bake for 60-75 minutes, or until a skewer inserted into the center comes out clean. Let the loaf cool in the pan for about 10 minutes before turning out onto a rack to cool completely. Please note that oven temperatures are given as a guideline only. You may need to add or reduce the suggested temperature depending on your oven. I baked the bread at 350°F (180°C) for 65 minutes. I’m so pleased you found this on your dashboard and posted it. It looks so good! 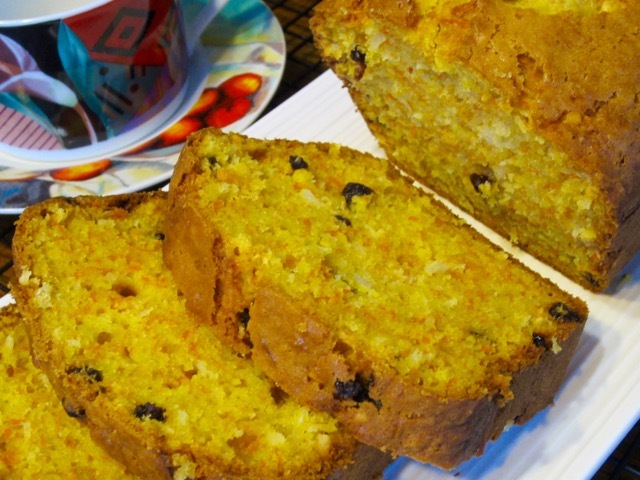 Nice to have a loaf cake like this tucked away in the freezer for tea with a friend or morning coffee with yourself! Ive not been very attentive lately! So many things going on the least of which is a granddaughter getting married, a grandson in rugby and being signed onto a Seattle team, great grandkids birthdays and gorgeous weather keeping me outdoors. I started hiking but have laid off a bit recently and truly enjoyed it. Will get going again soon. How are things going with you and family Liz? Omg so exciting to hear your grandson is being signed onto a Seattle team!! I love love watching rugby. The games are always fast and exciting. My daughter played rugby in high school and my brother did too many years ago. My friend Karen, made the cake and it was gone in minutes. And nice to hear you also have a wedding coming up and lots of birthdays. Everything is fine. It’s raining cats and dogs this week but I still go jogging anyway, in the mornings. Have a lovely day, Sandy. oh yes I love dried cranberries. They add a lovely tanginess! Enjoy the weekend! Hi Liz! When this recipe popped up in my Facebook feed, I knew it was futile to resist. It just came out of the oven, and if it tastes as good as it smells, it will be reduced to a few crumbs by the time you read this message. Thanks for another winning recipe! Omg it is so nice to hear from you after such a long long long time. Erica keeps me looped about your whereabouts. I am so happy to hear you baked the cake and even more glad to hear it will be demolished in seconds. That’s a damn good sign. Thank you so much for the feedback and TAKE CARE and XOXO to the small and big boys. Sounds delicious. I may have to try this with gluten-free flour and less sugar/more stevia. Hi and welcome back. I haven’t seen you in a long time. I’ve been a little busy, Liz, and haven’t done a good job in visiting other bloggers this year. I don’t know how it happens that I’m single and without kids (not counting the furry ones), but my days are never long enough. How does that happen? If I get an opportunity to try the bread, I will definitely let you know how it turns out. Ha ha. Life can get really busy especially if you have kids like me. My days are always so short I just don’t know what to do. I keep on hoping when all my kids go, then I’ll have all the time in the world. I really look forward to those days or maybe it’s just an illusion? Let’s wait and see!!! Enjoy your week and don’t forget to stop and smell the flowers…oops they are gone but you can stop and admire all the beautiful trees and bushes! Take care! You take care as well, Liz! Haha!! That’s a great spin to it! Instead of saying what you don’t like, find something you do like! Carrot and Coconut, that sounds like a delicious combination and i’m here for all of it! thanks for making me laugh. You’ve made my day. Have a lovely one!!!! 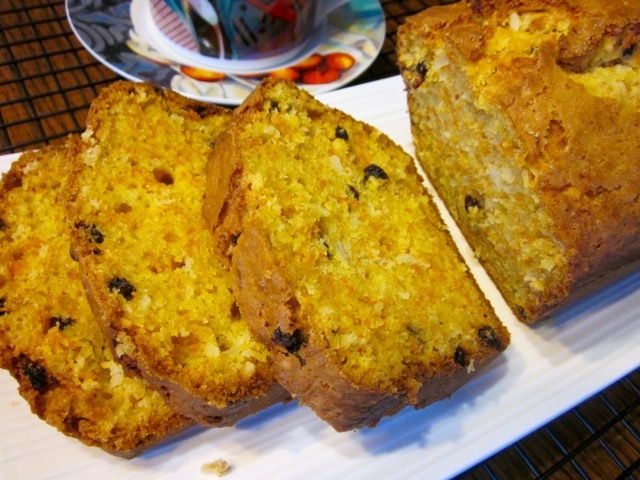 A mix of healthy with some flour and sugar, enticing recipe as usual! Beautiful loaves ! I like the addition of shredded coconut in here ! Reading this blog for years now… I have to finally write it down: You are amazing! I love the simple yet totally convincing way you present your recipes step by step! Wishing you all the best from far away Germany. Danke shoen! I love your blog too. I have just seen a lovely Halloween Cake that I’m going to challenge myself to make. I will definitely show you a photo of my finished product! I will give you a feedback. I love your blog. I shall take some time today and really browse your blog. I have been meaning to do that for a long time!